NOW it's a slicer! 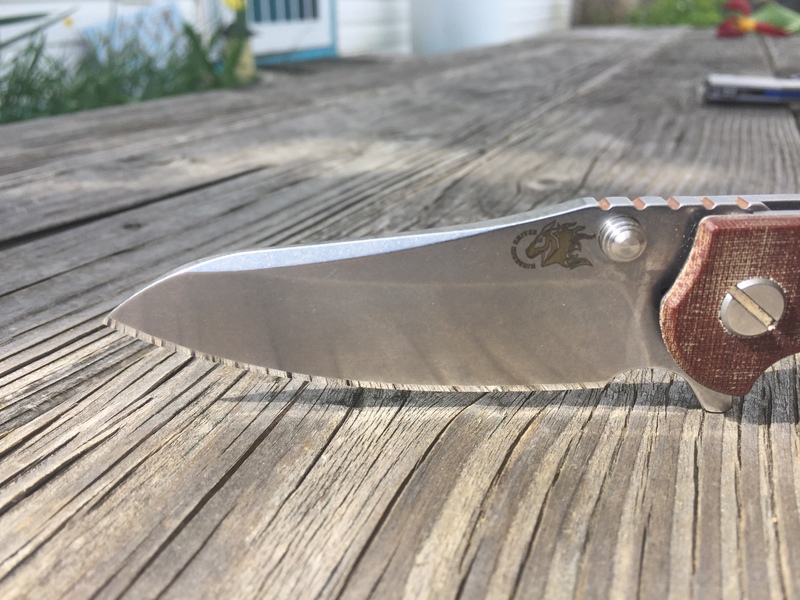 17 DPS on the Wicked Edge came out fantastic. Added on the gorgeous red scale, and if you look closely, you can see that it's now running smooth as silk on PB washers! Flips like it's on bearings, fellas! For real. chopsaki, Lapedog, Mo2 and 2 others like this. halden.doerge and DavidHoback like this. Where did you get the PB washers? "PB"? Peanut Butter? LOL. 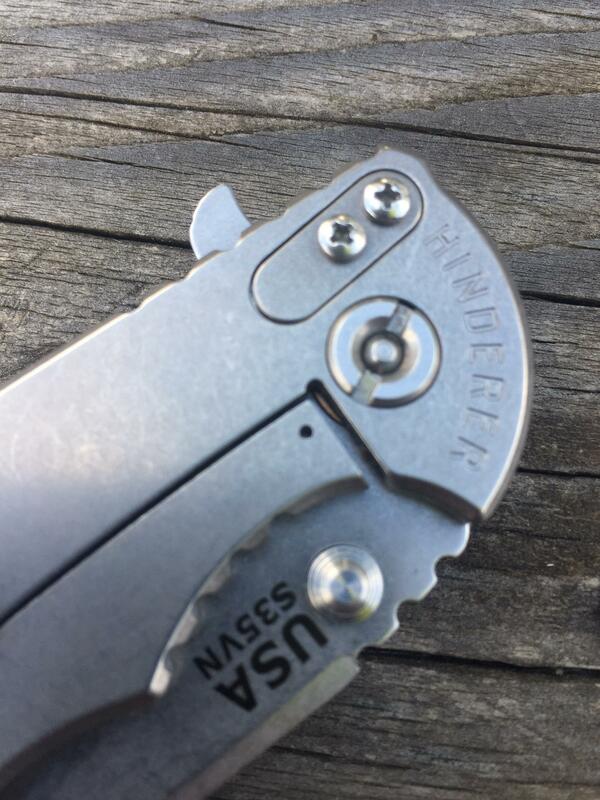 If their is a different washer for my hinderer I would love to know about it! 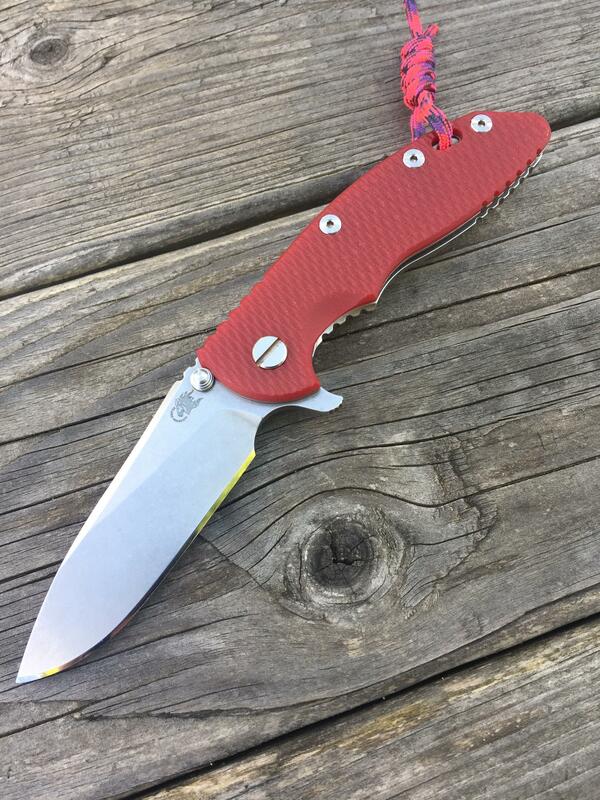 Lovely knife btw. Mine is coyote brown with 20cv steel. I can flip well but thumb stud action is nyet.Hoping that breaks in. 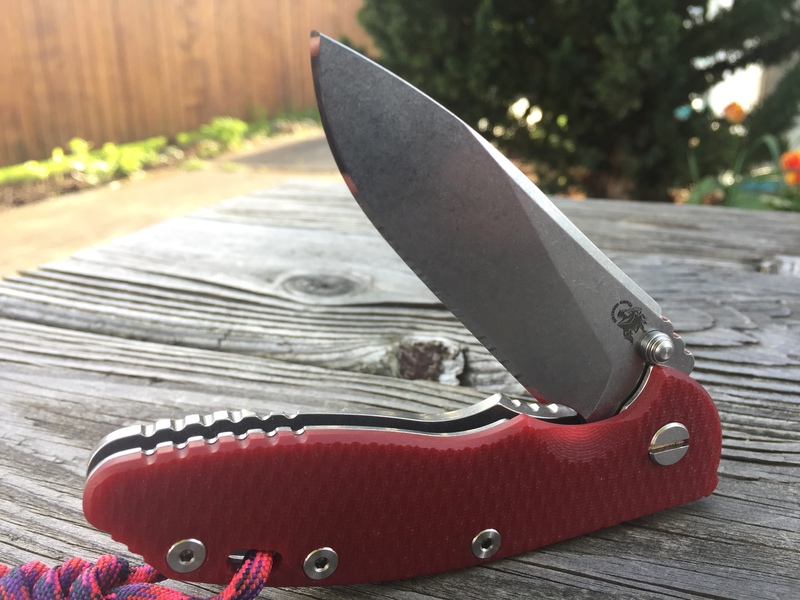 Knife is only a couple days old so needs some time I guess. Lapedog and halden.doerge like this. PB=Phosphor Bronze. I've replaced the nylon washers on my 3.5" and 3" XMs and they definitely feel great. Not like worlds better or anything, but just slightly more solid and maybe a little smoother. But they are still breaking in too, so we'll see how the continue to wear. Got a brand new MP1 in natural canvas micarta today. 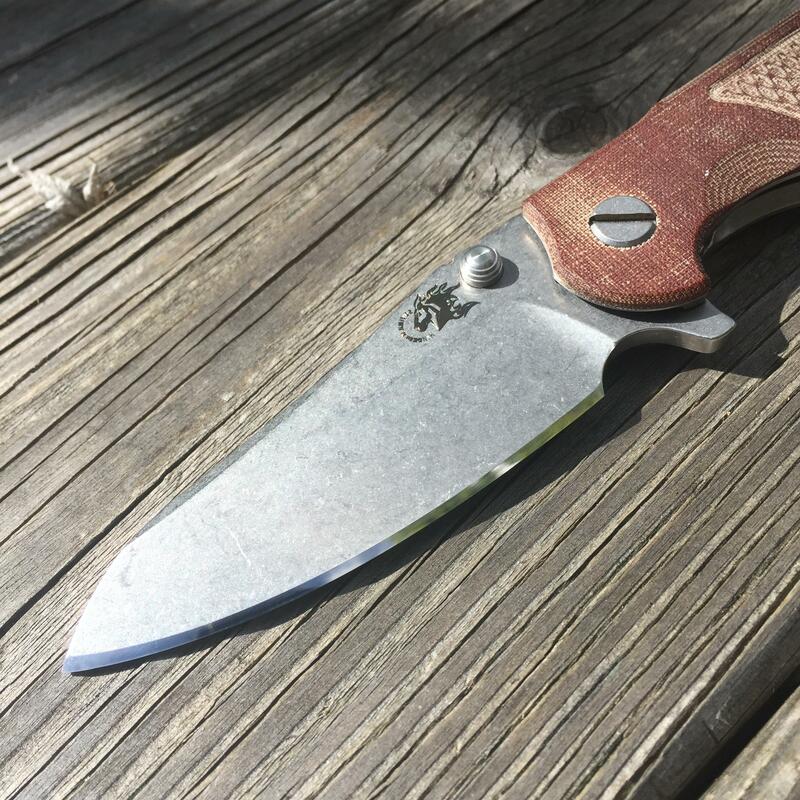 Fantastic knife, and as such it had to meet the Wicked Edge. I took this one a bit further, laying it back to 15 degrees per side to see how it did. Ya'll can be the judge. I can tell you for sure that it cuts like a laser. chopsaki and strategy9 like this. 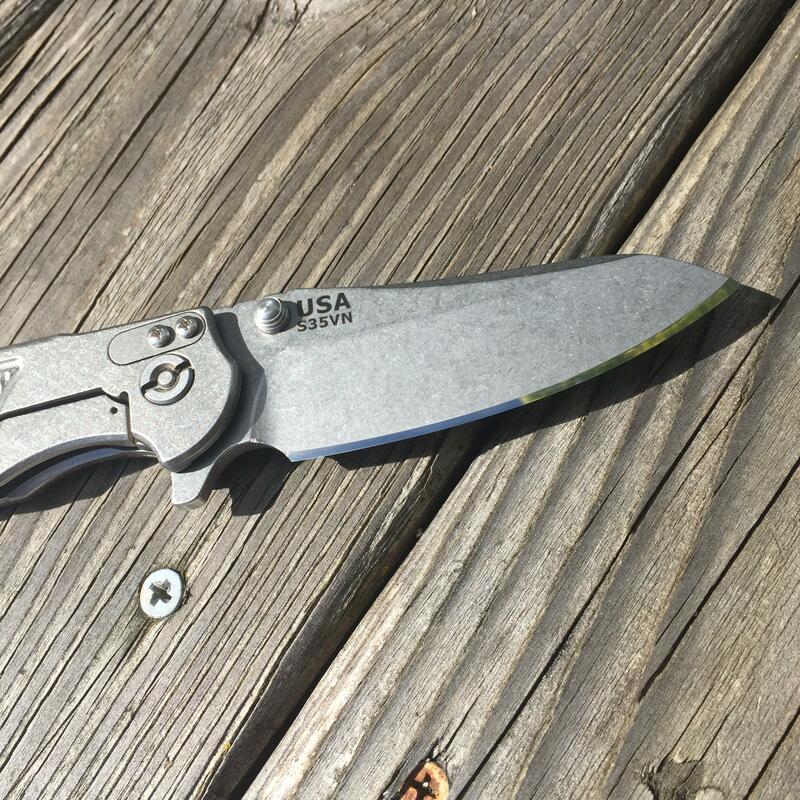 I got them at USA Knife Maker. The size you need is 1/4"ID x 1/2"OD x .015"Th. highbob, sharp_edge, DeAdEyE956 and 1 other person like this. Further update: The same size phosphor bronze washers fit the MP1 as well. Smooth as butter! what size did you use and where did you find them? thanks. I would love to try that! thanks. gonna order this weekend! Do you happen to have a picture of where you mounted the slicer on your wicked edge? Is it a 3.5 or 3"? It's a 3.5". I don't have a pic of it mounted on the WE. I believe I set it at "B", or basically centered in the clamp. I have a 3" one that I'll be doing soon, and I'll take a pic of that one and add it to the thread when I do. Awesome. It's great that they cost next to nothing. I recommend polishing them up a little on some fine grit sandpaper (2000 and up, I really like the 3000 and 5000 grit trizac pads for this) before installing. That definitely helps them run smooth. Excellent; I will keep an eye on this thread. 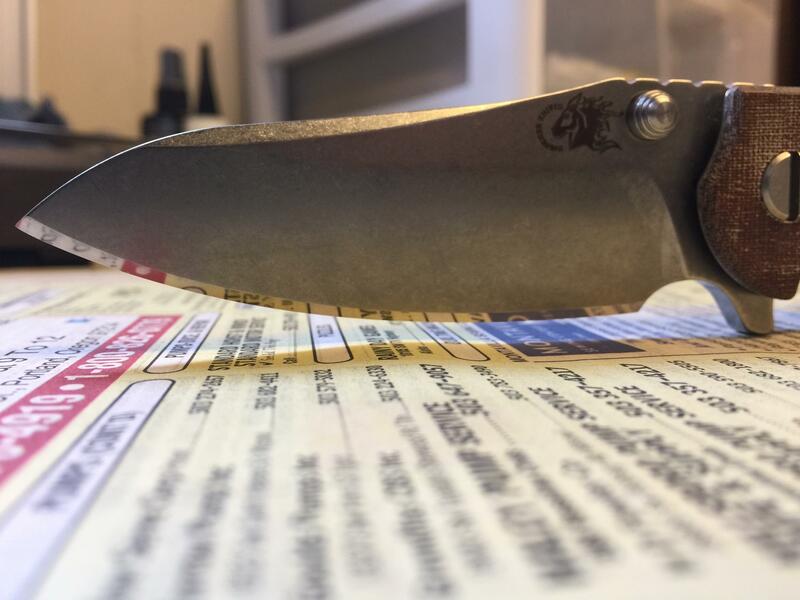 Have you ever tried a 25 degree per side edge (50 degree edge) on a knife? 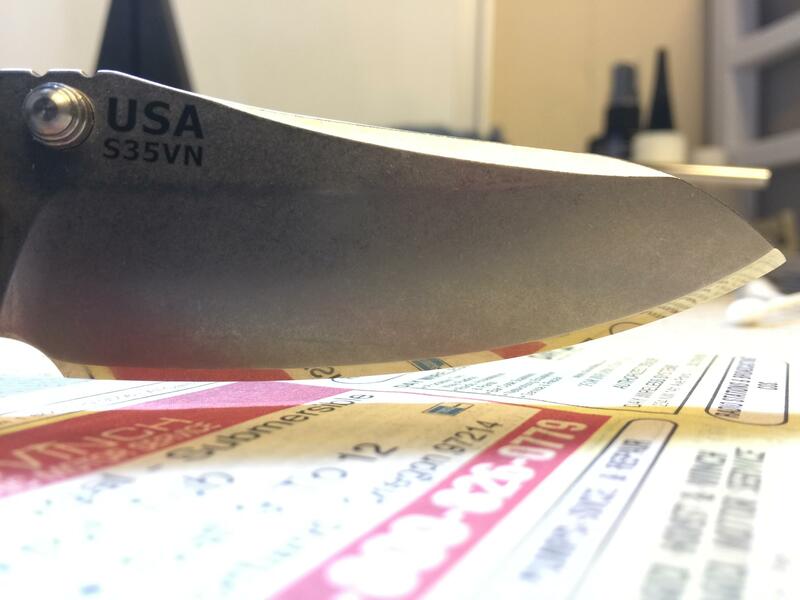 A 30 dps ( 60 degrees) edge on a knife? Wood chisels only go to 30 degrees total. 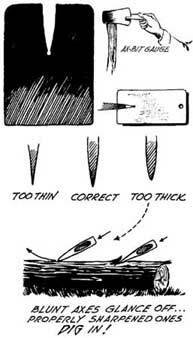 Another reference mentioned Leonard Lee's The Complete Guide to Sharpening recommends felling axe edge angles as low as 10-12 dps. Granted, he does qualify it by saying clean (knot free) green wood, but still. In any case, challenge accepted. We'll see what happens. Most axes have a 30-40 degree angle at the end of the bit and a 15-20 degree angle about ½” from the cutting edge. 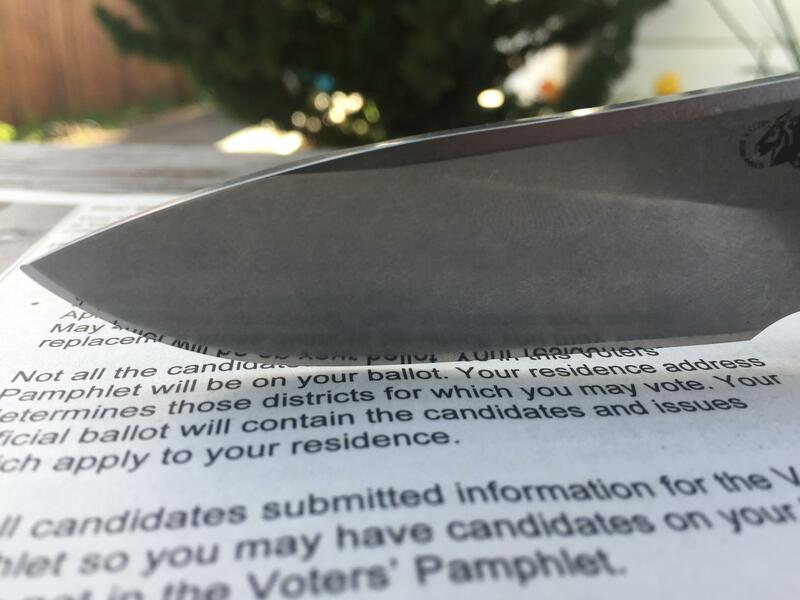 Spyderco recommends sharpening their knives at 20 per side and kitchen knives at 15 per side as the sharp maker system is set up with those angles. Dang Halden, great pics, I wasn't even interested in a mp1 until now. 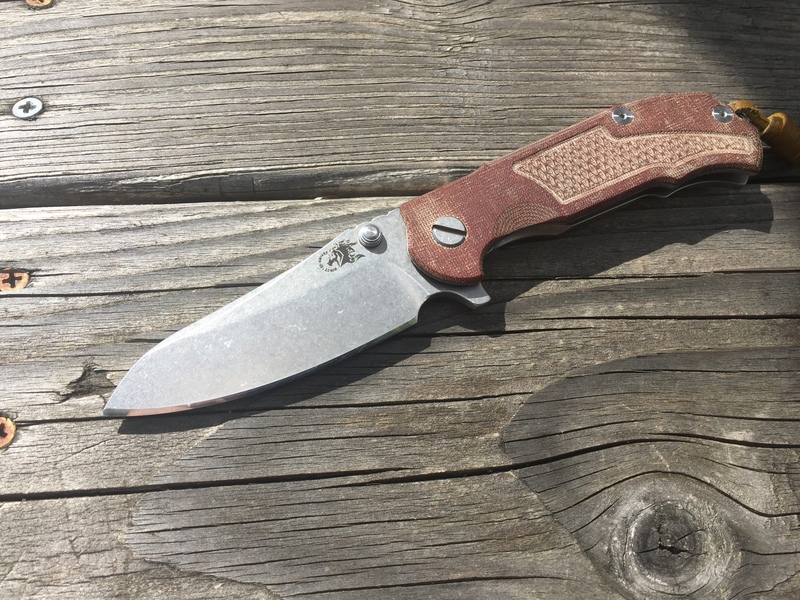 Love micarta.